There are auto shows and then there is the North American International Auto Show. Last year, there were 61 vehicle introductions at NAIAS, a majority of which were worldwide debuts. This year, AutoMobili-D for the Press and Industry Preview days highlighted the vehicles and technology of tomorrow, giving insight into how our future world may define mobility. The future of transportation was a major topic this year. Ford’s City of Tomorrow, Faurecia’s Cockpit of the Future, and the Michigan Department of Transportation’s infrastructure plans were among the most intriguing ideas. It’s a brave new world but this weekend, as the final run of NAIAS approaches, here are the top 5 things you simply must see. If you attend NAIAS and take a photo, be sure to tag us on Twitter. 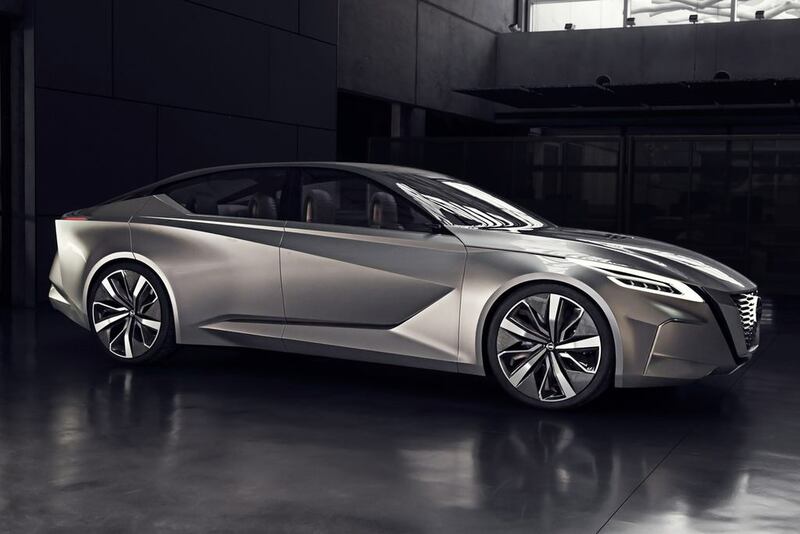 The Nissan Vmotion 2.0 Concept was revealed during a press conference at the 2017 North American International Auto Show. Photo: Nissan North America. This one is particularly exciting because it shows what the future of Nissan may look like. The automaker’s forthcoming style, design, comfort, and technology offerings are all wrapped up in this gorgeous package. The Nissan Vmotion 2.0 concept also presents a new platform for their Intelligent Mobility initiative, essentially their vision to achieve a zero emissions world with no traffic fatalities. Definitely one of our favorites this year at NAIAS. 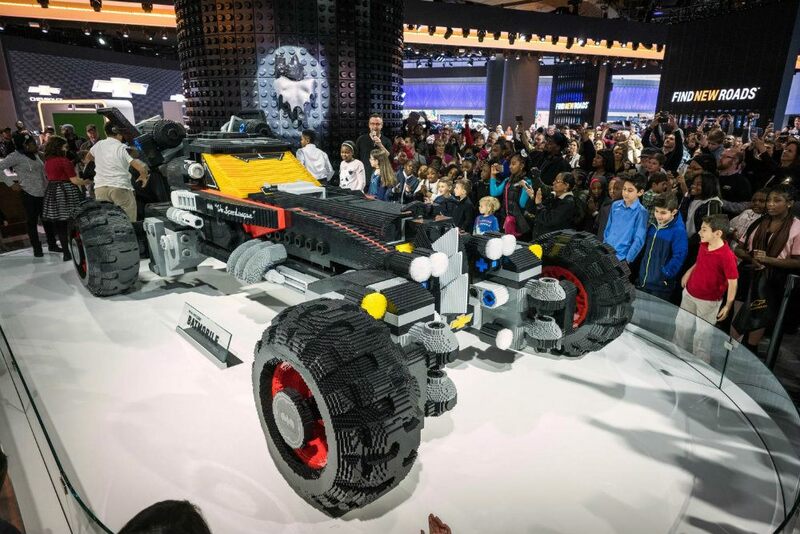 The LEGO Batmobile is 7 feet high, 17 feet long, 9 feet wide, and weights almost 1,700 pounds. Each tire is just over 100 pounds. Photo: Chevrolet. 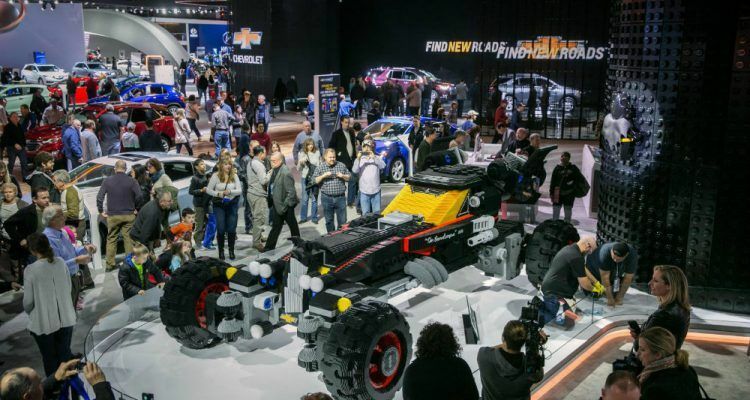 Chevrolet, along with students from Detroit’s Cody Rouge community, A World in Motion, and FIRST LEGO League, unveiled the LEGO Batmobile at NAIAS. The construction is impressive, containing over 340,000 Lego bricks of 17 different colors. Over 86 feet of square tube aluminum was used to create the interior frame of this justice-enforcing machine. It took 222 hours to design and 1,833 hours to build, ultimately being inspired by The LEGO Batman Movie, in theaters on February 10th. This one will definitely be a hit with the kids (okay, and the adults too). The all-new Ford GT and Ford EcoSport are part of Ford’s fully immersive NAIAS display. Ford’s first-ever live augmented reality presentations let people see the automaker’s vehicles in a unique way. Photo: Ford Motor Company. Ford is introducing NAIAS attendees to their latest vehicles and technology in a very clever way. It’s not quite virtual reality but it’s not exactly in this dimension? Maybe? Perhaps that is how you might describe it? 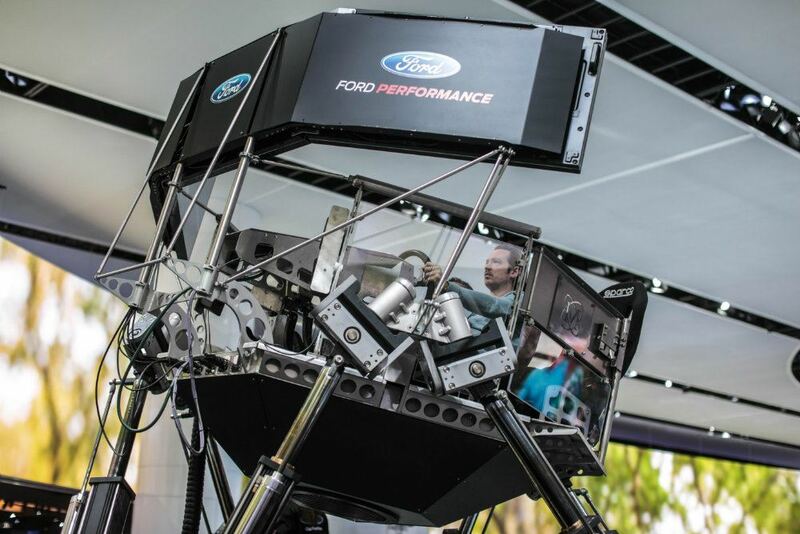 Ford is showing consumers how their latest innovations function through that magic. The augmented reality display includes things like a new Ford GT dashing through a wind tunnel for aerodynamic testing, and a demonstration of the new 10-speed automatic transmission coming for the 2018 F-150. At their display, Ford is also showcasing a driverless Fusion Hybrid and a Transit customized for fitness buffs. Under the banner of 2+2 performance, Lexus’ designers and engineers sought a high level of aerodynamic performance to enhance ride quality, all while suppressing wind noise. Photo: Carl Anthony for Automoblog.net. The last two on this list are a toss-up as both are excellent cars. The 2018 Lexus LC struck a chord with us because of the 2+2 performance mantra behind it. 2+2 performance meant both the engineering and design departments at Lexus rallied together for a specific goal. Their intense level of collaboration and teamwork delivered this stunning automobile. The all-new LC 500 features a naturally aspirated, 5.0-liter V8, paired with the first direct shift 10-speed automatic transmission in a luxury car. At 471 horsepower and 398 lb.-ft of torque, it’s no slouch. The LC 500h, conversely, is powered by a 3.5-liter V6 full hybrid powertrain, with a total output of 354 horsepower. Optional equipment includes 20 and 21-inch forged wheels, Mark Levinson audio system, Limited Slip Differential, Blind Spot Monitor, Intuitive Park Assist, Heads-Up Display, and Cold Area Package, with a heated steering wheel and windshield de-icer. 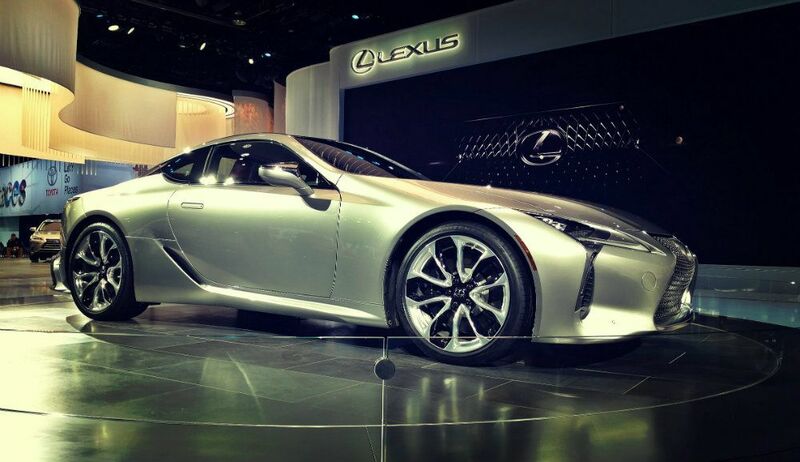 Interestingly enough, Lexus debuted as a brand at NAIAS in 1989. 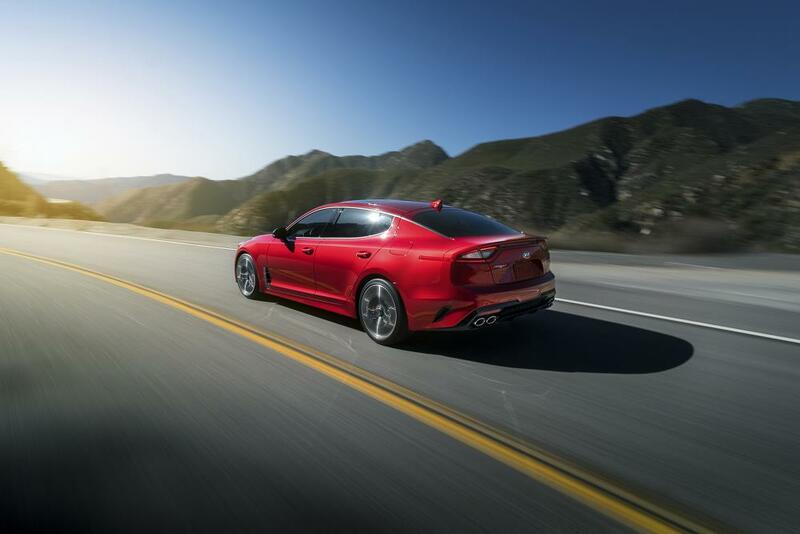 The 2018 Kia Stinger rides on a chassis comprised of 55 percent advanced high-strength steel. The result is impressive handling, along with a quiet cabin. Photo: Kia Motors America. Yes, the car is amazing. No, I didn’t expect this from Kia. Yes, it’s amazing. Kia literally took our breath away when it rolled out the red carpet for this performance beauty, the most powerful in the history of their luneup. The Stinger will arrive in the United States later this year with multiple engine and drivetrain options. Kia’s idea was to take everything we could possibly love about an automobile and present it in one solid entity. “A true gran turismo, a car for spirited long-distance driving, is not about outright power, hard-edged dynamics, and brutal styling, all at the expense of luxury, comfort, and grace,” said Gregory Guillaume, Chief Designer, Kia Motors Europe. Ride and handling is optimized through Kia’s use of high-strength steel in the chassis with a MacPherson front and multi-link rear suspension. Handling characteristics may be tailored to suit the driver through the Dynamic Stability Damping Control system, a Kia first. Although both engines are still in development, the standard 2.0-liter turbocharged four-cylinder Theta II engine produces an estimated 255 horsepower at approximately 6,200 rpm. The available 3.3-liter twin-turbo V6 Lambda II engine is expected to hit around 365 horsepower (6,000 rpm) with 376 lb.-ft of torque (1,300 – 4,500 rpm). Kia is targeting a 0 to 62 mph launch in about 5 seconds with a top speed of 167 for the latter engine. “The Stinger has nothing to do with being the first to arrive at the destination – this car is all about the journey. It’s about passion,” Guillaume said. NAIAS is held at the Cobo Center, 1 Washington Boulevard, Detroit, MI 48226. 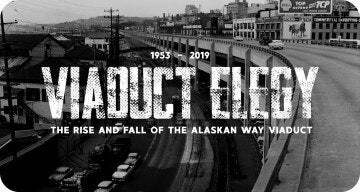 The public shows runs through January 22nd. More information, including ticket pricing and scooter rentals, can be found here. Enjoy your time and have fun! No Comments on "Top 5 Cars And Attractions At NAIAS"